Australia’s Alumina Limited has secured a strategic investment of 452 million AU dollars (468.09 $million) from China’s state-owned investment firm CITIC. Alumina announced on Thursday that CITIC will buy more than 366 million new Alumina shares, representing 13.04 per cent of Alumina’ capital base following completion of the placement. The Australian resource company that produces aluminium is among Australia’s top 100 companies by market capitalisation. 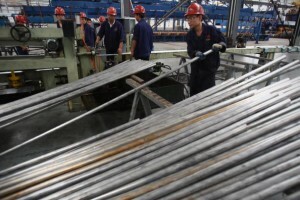 Recently they have been under financial pressure due to failing aluminium prices. Alumina said CITIC would be a strategically aligned and financially strong long-term investors to the Alumina share register. The company said proceeds of the share sale will be used to repay its bank debt. News of the investment caused shares in Alumina to surge more than 12 per cent at one point – the highest level since March 2012. Shares then eased back to a 7.5 per cent increase at A$1.29 a share. According to Alumina, Chen Zeng, vice chairman and chief executive officer (CEO) of CITIC Resources Holdings Limited will be appointed to the Alumina Board. “CITIC’s investment demonstrates their confidence in the alumina industry and their understanding of Alumina Ltd’s unique position in the global market,” John Bevan, Alumina’s CEO said in a statement.